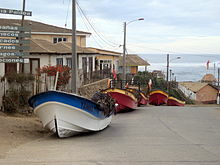 ^ In the early days after the earthquake some other names were proposed and used. 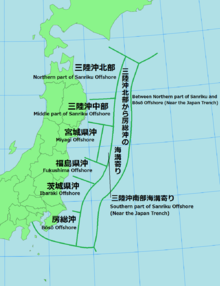 The Japan Meteorological Agency announced the English name as The 2011 off the Pacific coast of Tōhoku Earthquake. 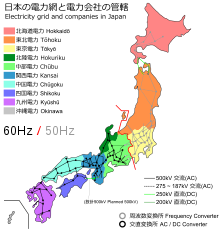 NHK used Tōhoku Kantō Great Earthquake disaster (東北関東大震災, Tōhoku Kantō Daishinsai); Tōhoku-Kantō Great Earthquake (東北・関東大地震, Tōhoku-Kantō Daijishin) was used by Kyodo News, Tokyo Shimbun and Chunichi Shimbun; East Japan Giant Earthquake (東日本巨大地震, Higashi Nihon Kyodaijishin) was used by Yomiuri Shimbun, Nihon Keizai Shimbun and TV Asahi, and East Japan Great Earthquake (東日本大地震, Higashi Nihon Daijishin) was used by Nippon Television,Tokyo FM and TV Asahi. 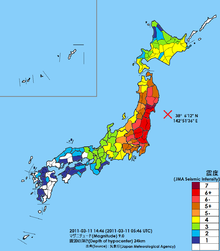 ^ Japan Meteorological Agency (ed.). 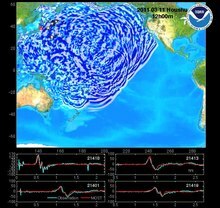 "「平成23年（2011年）東北地方太平洋沖地震」について～７年間の地震活動～" ["About 2011 Tōhoku earthquake - Seismic activities for 7 years -"] (PDF). Retrieved 2018-06-18. on 6 March 2018. 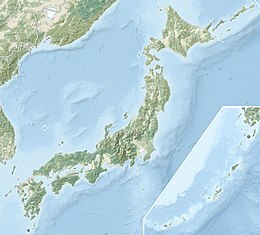 ^ "震災で沈下の地盤が隆起、高すぎる岸壁に漁師困惑". TBS Newsi. 2014-10-11. Archived from the original on 2014-10-11. Retrieved 2017-11-02. 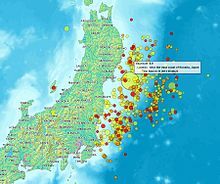 ^ "緊急地震速報の改善について" (Press release). Japan Meteorological Agency. 2011-08-10. Retrieved 2011-08-10. ^ "津波、最大想定に対処…防災会議・中間報告骨子". 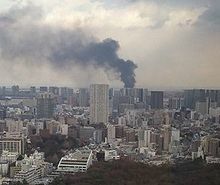 Yomiuri Shimbun. 2011-06-20. Archived from the original on 2013-05-01. Retrieved 2011-08-11. ^ "東北地方太平洋沖地震を教訓とした地震・津波対策に関する専門調査会中間とりまとめ" (PDF). 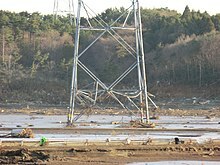 中央防災会議 「東北地方太平洋沖地震を教訓とした地震・津波対策に関する専門調査会」. 2011-06-26. Retrieved 2011-08-11. 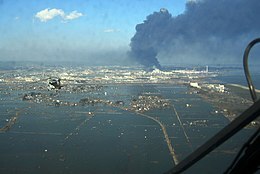 ^ a b "東北地方太平洋沖地震による津波被害を踏まえた津波警報の改善の方向性について（最終とりまとめ）" (PDF). Japan Meteorological Agency. 2011-09-12. Retrieved 2011-09-14. ^ a b "津波警報の改善について". Japan Meteorological Agency. Retrieved 2016-04-01. ^ Smith, Alexander (10 September 2013). 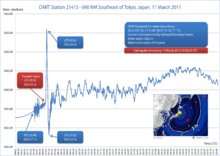 "Fukushima evacuation has killed more than earthquake and tsunami, survey says". Archived from the original on 2013-10-27. Retrieved 11 September 2013. 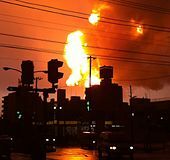 ^ "Stress-induced deaths in Fukushima top those from 2011 natural disasters". Archived from the original on 2013-09-27. 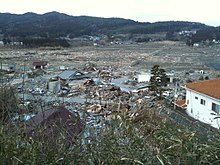 ^ "Death toll from powerful Japan quake likely to top 1,000". Archived from the original on June 2, 2011. Retrieved May 6, 2018. ^ "Nuclear Power in Japan | Japanese Nuclear Energy - World Nuclear Association". 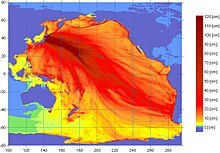 world-nuclear.org. Retrieved 2019-03-05. 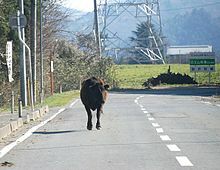 ^ "三陸沖から房総沖にかけての地震活動の長期評価（第二版）について". 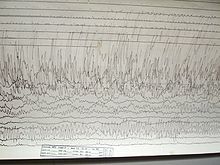 The Headquarters For Earthquake Research Promotion. 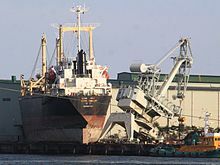 2011-11-25. Retrieved 2011-11-26.